Without gear there is no paddling. From boats to paddles, to PFDs (personal flotation device), to what you have on, you need gear. We'll cover different types of gear for various terrains, seasons, and class. 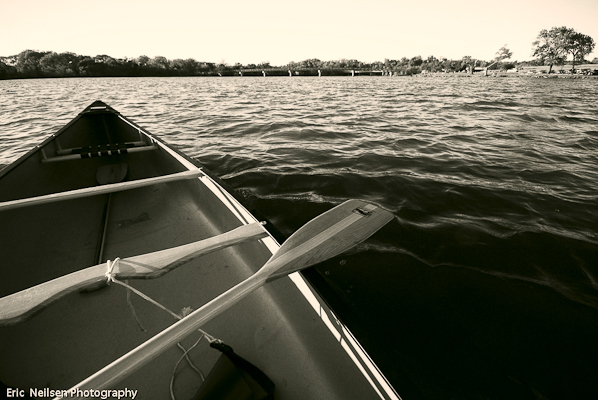 Paddling on lakes or flat water is typically done in different boats than those used for white water. The bigger the white water you plan on paddling, you'll need to plan for additional differences in the boats and gear. Whether your paddle is straight or bent, single or double it should become a part of you when paddling. It is rare that the first paddle you buy is the last paddle you buy unless it the ONLY paddle you buy. It is highly advisable to always carry an extra. Since your trips will probably consist of various types of adventures, you might consider a variety to fill out your wish list; one for speed, one double blade, several for those times when you have a partner. Appropriate attire is both comfortable and safe. Check to make sure your PFD is rated for your weight and body size. Outdoor clothing has come a long way in the last few decades and a quick trip to the local sporting goods store will provide you many options to have fashion and function. Fabrics are now available with insect repellant, and sun block attributes. We've all heard the phrase, getting there is half the fun. Well there'll be no more fun if your camp is missing the necessities to keep you feeding the hungry paddlers, or staying dry and comfortable for a good night sleep. 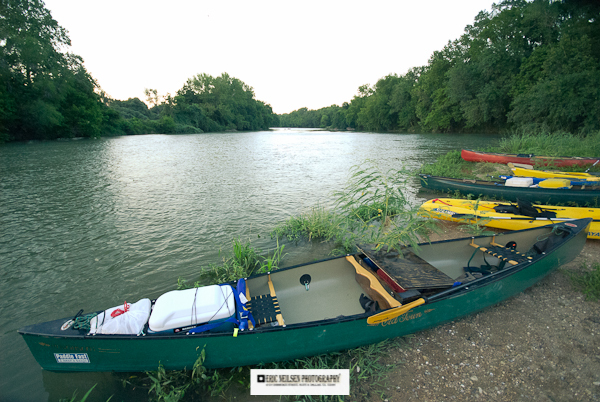 With canoes, we have the ability to pack in a fair amount of comfort. However, that doesn't mean we should just cast in our heaviest pots and pans into the chuckbox or wannagan. Plan for the meals and group that will be traveling with you. Knowing some basic first aid should be given for all members of your crew. It would be great if at least one of your group knew advanced field first aid. You never know when your next bend in the river is your last for many hours as you all work to repair twisted knee, broken leg, or another form of first aid; boat repair.